My studio in the National Transit Building is over 100 years old with lots of oak woodwork and a well-worn door that looks like it should be to the office of a private eye. Having more or less caught up with my deadlines, I took a little time to finally put my name and studio number on the window. I chose some old typefaces that looked appropriate—from some type catalogues that I have and from internet sources. I created the words on my computer and printed them out big enough to fill the space on the door. Then I taped the printout to a piece of black Contact paper and cut the letters out with a razor blade. I taped the entire mess to the window and carefully peeled the backing off each letter. I left the printout taped to the window so I could stick the letter back where it’s supposed to be—like a puzzle piece. Here’s a spread from Pirates Go To School. The verse describes a pirate’s lunch as slimy squid and crackers for their parrots—in the thumbnail sketch I drew squid on a cracker. The art director asked me to show a pirate eating the squid and the parrot eating a cracker, as you see in the tight sketch. The slideshow is the painting in progress. Notice I extended the pirate’s arm so the parrot wouldn’t be in the spread’s gutter. It be Talk Like A Pirate Day, cullies! 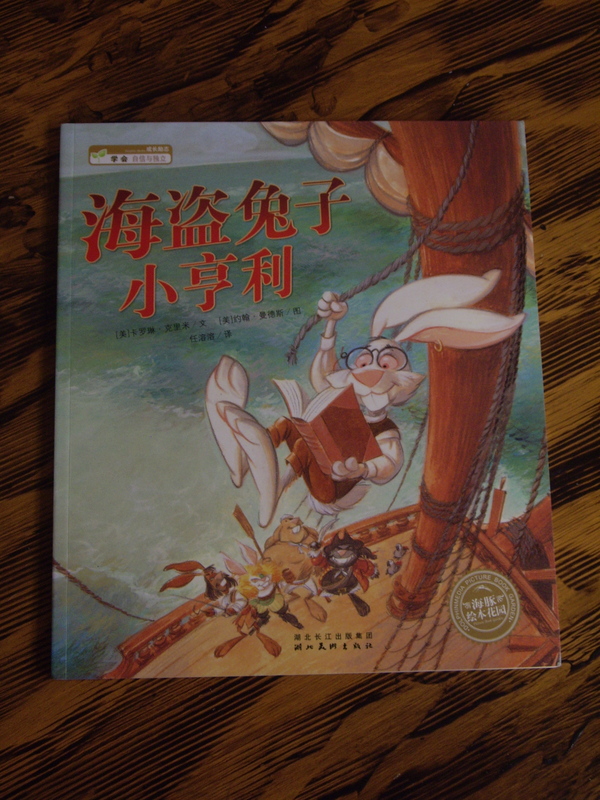 What better excuse to while away the dogwatches with a copy of Henry and the Buccaneer Bunnies? And finally—it’s available in Chinese!